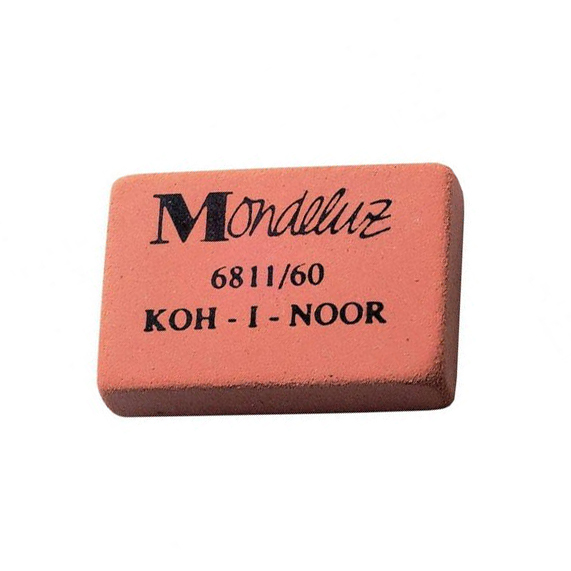 This small Mondeluz eraser by Koh-i-noor is made from natural-based substances without addition of plastic materials and phthalates. It is particularly suitable for erasing of graphite lines in the range of HB-6H classes of hardness. Available in orange colour. Sizes 8 x 31 x 21 mm size.